The Best Homeschool Programs and Resources of 2018-2019 compiles a list of our favorite, and most highly recommended products for homeschoolers. Every homeschooling parent I speak with struggles to find a homeschool program, curriculum or resource that provides both breadth and depth for their children. We all want something engaging, something that gets the kids excited about learning, and something that is easy for us, as parents, to help facilitate. We also want to make sure they have a well-rounded education. It hard to find new and unique products these days and it’s hard to find the best homeschool programs out there. So, we put together The Best Homeschool Programs and Resources of 2018-19 in hopes that this will help you find new and intriguing products to help your children learn. These products are some that we use in our homeschooling, and/or have come highly recommended from other homeschooling families. We hope that you will spend some time getting to know the companies on the best homeschool programs list. They are all small businesses and your support of them is not only greatly appreciated, it gives you the chance to try something new and innovative with your kids. The products in The Best Homeschool Programs & Resources List are sure to get your kids excited about learning this year. Have any suggestions for the Best Homeschool Programs List? Please email Info@HowToHomeschool.net. We are always looking for suggestions. NOTE: The products & services in The Best Homeschool Programs and Resources List are listed in alphabetical order. Enjoy! 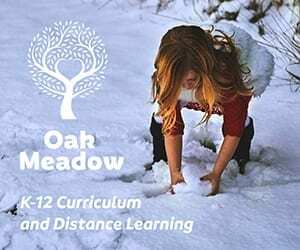 Alpha Omega Publications has award-winning homeschool curriculum, from time-tested print products like Horizons and LIFEPAC to their Monarch online curriculum. AOP has partnered with parents for over 40 years to provide children with a rigorous, Christian education. With complete customization, automatic grading, and a host of other powerful features, you can quickly see why so many parents and students around the globe love the freedom of online learning with Monarch. You can try Monarch risk-free for 30 days. No risk. No commitment. No credit card needed. Visit DiscoverMonarch.com and enter promo code MON30HTH. American School offers accredited middle school and high school courses in online and traditional paper-based formats. Bitsbox app projects are organized in an intentional learning system. Every coder starts with Box 1 the first month, Box 2 the second month, etc. By having a leveled sequence like this, kids build a solid foundation of coding knowledge, and are better equipped when more complex coding concepts are introduced down the road, all with a goal of demystifying coding. Learning to program is too often seen as abstract and sterile. Kids should know that coding is exciting, and that they can build the technology they love! Breaking the Barrier is a leader in print and digital language learning. Featuring instruction in Spanish, French and English for Spanish speakers, Breaking the Barrier provides students with a solid understanding of language fundamentals as well as cultural insights from around the world. Our programs genuinely offer students the fastest path to language fluency. The Homeschool Package offers you a complete curriculum, and has three levels – Beginning, Intermediate, and Advanced. Each level is the equivalent of one year’s worth of Spanish and French. You’ll find their workbook-textbook with all lessons and exercises, accompanying audio with hours of recordings from native speakers, answer key booklet and testing program with answers! The Brave Writer program brings a fresh point of view to the writing process. Rather than emphasizing format writing as the key to success, Brave Writer’s materials and instructors facilitate the emergence of an authentic writing voice in your children. Once children have access to the language, insights, and ideas locked within, they easily learn a variety of writing genres, including the rigorous academic formats of high school and college. Brave Writer offers home study courses for original writing, literature-based language arts programs, and online classes. College Prep Genius (CPG) is an award-winning SAT/PSAT/ACT/CLT test prep company that teaches students how to ace standardized tests. They have online eCourses and families can also host a live boot camp in their city. Students will learn to answer questions in 30 seconds or less. They will learn that these tests are logic and not IQ tests and they are beatable! 85% of colleges admit and give money simply based on test scores. the higher the score-the more money you get! CPG also has a personal guidance counselor book and fun, wholesome Vocabulary building novellas. Voted in the “Top Ten In-Person SAT Program by “The Best Schools”. CPG is the most cost-effective program with results of 600 point increases on the SAT and 9 points on the ACT. They have taught tens of thousands of students how to get free college for the last 14 years. Forensic Faith for Kids – Many young believers want to tell others about their relationship with Jesus but aren’t sure how to begin or can become rattled by questions. In fact, many young believers have their own questions about Christianity and struggle to find answers. Detective J. Warner Wallace helps kids develop good investigative skills, so they can navigate tough questions about faith and share what they’ve learned with others. As in their other Case Makers Academy books, J. Warner and Susie Wallace teach kids to think like detectives by reaching into their detective tool bag. While they search for clues to the real owner of a lost puppy, the cadets learn how to be confident in sharing with friends the truth of their faith in Jesus. A great addition for any family studying religion or incorporating Christianity into their homeschooling. Easy Grammar Systems publishes several award-winning grammar series that are highly recommended by homeschooling families. Easy Grammar texts (Grades 3-6 and Plus) use the prepositional approach, which deletes prepositional phrases to help students find subject, verb, agreement, etc. Concepts are taught in a building-block-escalator paradigm that incorporates mastery learning strategies. Unit reviews/unit tests and cumulative reviews/cumulative tests also promote mastery learning. Easy Grammar: Grade 2 is set up with 180 daily lessons—teaching and application of capitalization, punctuation, grammar and other concepts, and sentence combining for creating excellent sentences. Daily GRAMS texts (Grade 3-7) are daily, 5-10-minute reviews (180 lessons). Following a systematic format, students complete capitalization (#1), punctuation (#2), grammar and other concepts (#3/#4), and sentence combining (#5) for improved quality of writing. Easy Grammar Ultimate Series texts (Grades 8-12) provide high-school students with 180 teaching lessons designed cyclically for mastery. Concepts are introduced, reviewed, and applied in 10-minute lessons, allowing focus on literature and writing. Edublox Online Tutor (EOT) is a research-based educational e-learning platform that offers multi-sensory brain-training programs designed to strengthen weak underlying cognitive skills, leading to increased performance in reading, spelling, writing, math and learning. Programs are effective for a variety of learning difficulties including dyslexia, dysgraphia, dyscalculia and ADHD. EOT is founded on pedagogical research and 30+ years of experience demonstrating that weak underlying foundational skills account for the majority of learning difficulties. Over the years the company behind the platform, Edublox, has helped thousands of children to read, learn and achieve through home kits and learning clinics internationally. The programs are well-suited to help homeschoolers achieve their full potential and is optimized for children 7-13 years. Follow Maddie’s Diary, an inspirational Edublox Online Tutor success story about overcoming dyslexia. Enlightium Academy (EA) provides a highly-rated, accredited, online private Christian education for grades 3 through 12, and provides a parent-led, book-based curriculum for students in PreK–2nd grade. EA meets high standards of quality education and student outcomes. The curriculum is built on a Biblical worldview and EA seeks to inspire Christ-like character through caring teachers. EA provides an immersive online classroom experience where students can interact with teachers and students in a variety of ways by utilizing cutting-edge technologies in learning. Students can select from credit recovery, honors, and College level courses, college preparatory software, and a wide range of world languages. Students can work at an individualized pace and receive one-on-one support as quickly as the selected support level provides. 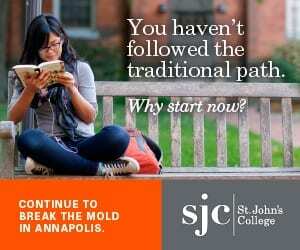 Enrollment is open year-round, and prices range from $100 – $700 before discounts are applied. Homeschool parents partner with Enlightium to provide a holistic educational experience for their child. Home Art Studio is an award winning DVD based art education program specifically designed for homeschooling families. We make it so easy. All you do is put out the art supplies and the kids follow along with Ms. Volin on the DVD. Each project is fun and challenging. They include art history wherever possible and use a variety of mediums. Your kids will love Home Art Studio. JoyFully Read!™ – JoyFully Read™!— A 3 step, multi-sensory reading program, that emphasizes a joyful experience for teaching and learning processes. This program guides students from the earliest stages of reading to an independent reader for life. It is designed to eliminate teacher preparation time, encourage family support, and give homeschoolers the ability to easily incorporate reading into their lives. JoyFully Read!™ focuses on teaching the English Code, as well as how to write, spell, and apply it. It teaches in a way that all can understand and gain confidence in their abilities. It uses several different avenues of teaching to reach all learning styles while making it memorable with music, flashcards, colors and more! JoyFully Read!™ encourages family involvement in both the learning process, and the CELEBRATION of progress. It makes reading fun, captivating, and joyful. That’s what JoyFully Read!™ is all about—finding the JOY in reading! Kids Email is exactly what it sounds like… e-mail for kids! It is a service that provides parents with peace of mind while allowing their children to be safe while they communicate with family and friends. Parents love that their children are protected from spam or any inappropriate messages. Kids Email is very easy to set up, and easy for kids to use. Kids Email has a new app that can be found in any app store and kids love using it on their phone or tablets. Using email is a great way for kids to learn how to type, spell, and communication. Little Pim is an award-winning foreign language program for kids. They believe that all children deserve to learn a second language and developed a program that makes learning a foreign language easy and accessible to all kids–at the age they learn best, from 0 to 6 years. Little Pim keeps kids entertained while inspiring in them a lifelong love of language learning. Their unique Entertainment Immersion Method® engages a child’s natural love of play and learning through repetition. The more they watch, the more they learn. Simple sentences are broken down into easy-to-understand parts and are reinforced through repetition by native speakers. With the launch of their new subscription, customers will get unlimited access to all videos in 12 languages (30+ hours of content), parent/teacher guides, printable weekly lessons, and fun activities! Discover why millions of children love learning a new language with Little Pim. You can even watch free for 3 days! Mathseeds teaches kids aged 3-9 the core math and problem solving skills needed to be successful at school with fun, highly interactive and rewarding lessons. Mathseeds combines highly structured lessons with fun motivational elements that keep children engaged and keen to learn. A great addition to any homeschool routine and homeschooling families rave about it being an incredible math program. Pure Flix Digital – Pure Flix Digital is a video streaming service that features Faith, Family and Educational programming. We support the Homeschool Community with educational video content to compliment Homeschooler lesson plans. We offer content for toddlers through high school. Additionally, we recently partnered with Answers in Genesis to provide 500 of their titles on our streaming platform. Pure Flix Digital offers thousands of family titles that can be enjoyed by every member of the family. Go to www.pureflix.com for your first 30 days free! • A digital teacher’s edition with a 160-page teacher guide and more than 35 activities, case studies and assessments. • Over 12 hours of engaging instruction taught by Dave Ramsey and his team of experts, delivered on a set of five DVDs. • A 288-page softcover student text that provides students an opportunity to learn, practice and apply important personal finance knowledge and skills. • Access to their student-focused website that is full of interactive tools, relevant articles and real-world activities. Reading Eggs makes learning to read interesting and engaging for kids aged 3-7, with great online reading games and activities. Children love the games, songs, golden eggs and other rewards which, along with feeling proud of their reading, really motivate children to keep exploring and learning. Reading Eggs is one of the top reading programs for homeschoolers and comes highly recommended. Reap the benefits of the nourishing upward-spiral teaching method employed in Exploring the Building Blocks of Science Series. Real Science-4-Kids integrates the 5 core disciplines of science into one convenient book for each grade level. Children must first learn about atoms, molecules, chain reactions, and more before they can truly grasp how plants grow. Spelling You See’s carefully designed approach empowers instructors (parents, teachers, and tutors) to help students develop skill and confidence in spelling through an effective, engaging, low-stress learning experience. Developing confidence in spelling skills contributes to developing effective written communication skills, which are important for success in higher education and adult life. Also, this successful approach can foster a student’s lifelong love of learning that transfers to all subject areas. Spelling You See’s consistent format guides students through the five essential activities (listening, reading, chunking, copywork, and dictation), presented at the appropriate developmental stage. These activities help students transfer the correct spellings of common words they see in print to long-term memory, enabling them eventually to be able to reproduce the correct spellings in their everyday writing. Lessons are limited to short daily sessions to keep interest and enthusiasm high. There are no word lists to memorize and no weekly tests. Spelling You See is a program based on years of research into how students learn to spell. Students become effective communicators as they grasp the proper spelling of words in the English language. Stages Learning work is based on 20 years of experience in helping children learn language skills while new research on digital learning technologies and instructional design also informs product development. Stages’ products are created to stimulate learning at each stage of language development. Stages’ photo-based flash cards, games, puzzles and posters offer a broad assortment of images to teach a wide range of language skills. Its card and blocks series provides opportunities to teach identical pre-language matching, categorization and similarities. A great hands-on learning experience for any homeschool student or family. Sycamore Academy is a very affordable accredited online school and their live classes are an added bonus with no extra fees. Classes are project driven— the students are doing projects, not just reading and answering questions. Teachers are available to meet with students via Zoom meeting to answer questions or help with assignments in addition to the “Live” classes. For many years, families have turned to Sycamore Academy to meet their educational needs. They offer a personalized approach with flexible scheduling and it is customized to your student’s needs, abilities, learning style and goals. The Good & The Beautiful is a one-of-a-kind, non-denominational curriculum, much of which is free, teaches advanced academics while connecting children to the good and the beautiful in life and in learning: God, high moral character, and the wonders and beauty of nature and human life. They offer Levels Pre-K through Highschool where they combine and thoroughly cover phonics, reading, writing, spelling, literature, grammar, punctuation, art, and geography—all in one easy-to-use, beautiful course. Created on Charlotte Mason principles, this curriculum is designed to help children recognize, appreciate, and seek out the good and the beautiful in learning. The curriculum is carefully designed to be easy to follow and to require very little to no preparation time. They also offer Science, History, Typing, Math, Handwriting, and more. The Kingdom Code is unlike any other curriculum. It is a comprehensive, fun, engaging program that is unique because it develops money management skills, social and life skills, and budgeting skills as it guides students step-by-step to become entrepreneurs and create a service business in the real world. It is presented from a Biblical perspective and includes Bible verses, stories of successful entrepreneurs, people who persevered, and group discussions that encourage problem solving and critical thinking. Colorful activities and first-hand experiences as entrepreneurs are designed to promote self-esteem, financial literacy, character development, talent discovery, respect for others, a strong work ethic, and understanding the value of a dollar. The curriculum teaches students while they are young, so they are better prepared to make good money choices as adults, avoid debt, and live by a Godly code…The Kingdom Code. A fantastic addition to any homeschooling curriculum. Zondervan Academic offers Christ-honoring resources in service of the academy and the church worldwide. They also produce high-school appropriate academic works in a variety of areas including faith and science, church history, Old and New Testament studies, biblical languages, and apologetics. In addition, Zondervan Academic also provides a kick-start for parent preparation with their free Textbookplus+ instructor guides. These include sample syllabi, sample mid-term and final exams, quiz questions, map and image libraries, and more. Your student can enhance their studies by accessing flashcards, author videos, and quizzes at their website. Using Zondervan Academic resources will give you confidence that your student’s religious education is thorough and Christ-honoring. Zondervan is committed to faithfulness to historic Christian faith, cultural relevance, and excellence. We hope you’ve enjoyed this list of The Best Homeschool Programs & Resources of 2018-2019! We believe each of these programs and products will enhance your homeschooling this year and we hope you’ll give some of them a try. Every child is different and every child needs a curriculum tailored to their needs and interests. We hope The Best Homeschool Programs & Resources List of 2018-2019 has given you some new products and programs to consider for this school year. Want to see our list from last year? See our Ultimate Homeschool Curriculum List.